These are the parts available for Classic K'NEX Roller Coasters and Classic K'NEX Ball coasters. All dimensions shown are approximate. The prices exclude VAT (Value Added Tax). These are all new parts - we do not sell used KNEX. Click on any image to display full details,or follow the "Handy Hint" link for each part to find out how that part may be used. 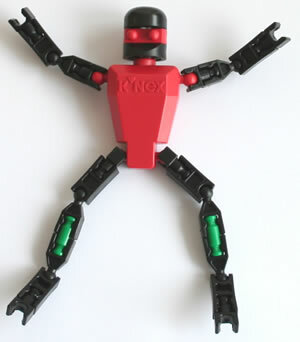 Click here to view some examples of KNEX models using classic K'NEX coaster parts, or find out what the Available figure means against each part. 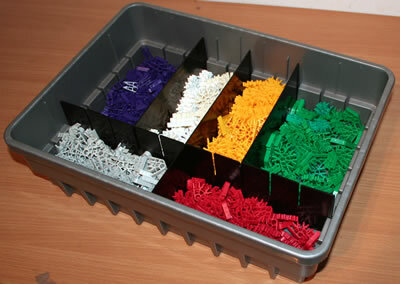 You can also view the parts we stock for Micro K'NEX roller coasters. As used in all current Classic K'NEX Roller Coaster sets, such as the K'NEX Son of Serpent roller coaster. Includes a seated K'NEX person (not shown). Sits in any classic K'NEX coaster car. As used in Classic K'NEX Roller Coaster sets, such as the K'NEX Son of Serpent coaster. Approx.height 40mm (1.6in.) The Person supplied may be a different character to the one shown in the photo. 5.6m (18ft) length of red track. As used in 78890 K'NEX Amusement Park Experience set. Follow the above "Hint R2" link to see which connectors and coaster cars should be used with this track. 2.4m (7.8ft) length of red track. 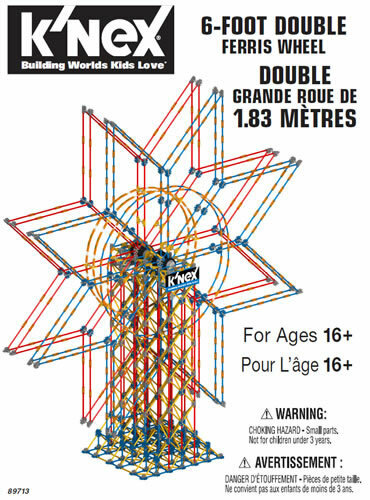 As used in 78890 K'NEX Amusement Park Experience set. 1m (3ft) length of red track. As used in 78890 K'NEX Amusement Park Experience set. K'NEX Track Splice, used to join together lengths of Classic K'NEX Roller Coaster track. Ball diameter is 46mm approx. Ideal for K'NEX Ball coasters. As used in the original K'NEX roller coaster and the Big Ball Factory, to attach orange K'NEX track to a model. To attach any type of coaster track to a model. As used in all recent classic K'NEX coaster sets.